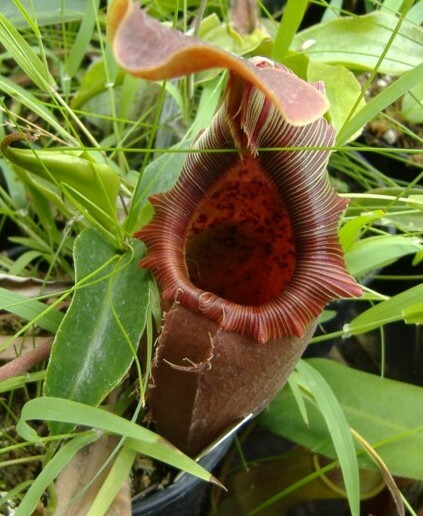 Nepenthes ovata is a nice highlander that produces dark maroon lower pitchers and striped cylindrical upper pitchers. When it gets into the vining stage, it can produce basal shoots readily. I find it to be a moderate grower for a highlander and grows quicker in the vining stage. 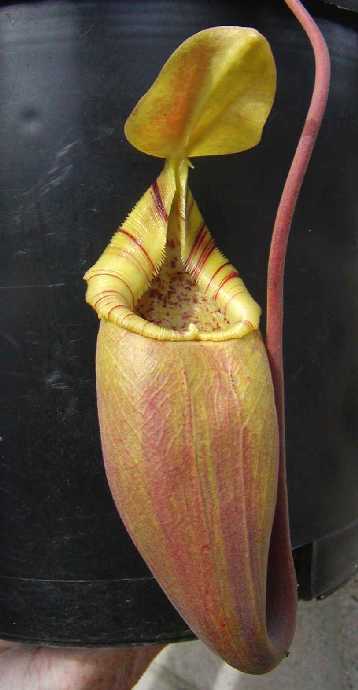 N. ovata is used in some hybridization for its color and ridged peristome. An easy grower that isn't tempermental like some other highlanders and does well outdoors. Because it's not as "flashy" as some other highlanders, N. ovata goes under the radar and isn't as widely seen in the forums. A few hybrids are out there using N. ovata with N. truncata X ovata from Exotica Plants as being one of the more sought after crosses.